Also on Tuesday, Human Rights Watch said that Syrians working to uncover mass graves in an area once ruled by the Islamic State group need help to preserve evidence, identify human remains and shed more light on the horrors perpetrated by the militants. Thousands of bodies — of civilians slain by the extremists, residents killed in airstrikes by the U.S.-led coalition and of IS fighters — remain to be recovered in several mass graves in and around the city of Raqqa. The appeal came in a new report released Tuesday by the New York-based group. Raqqa was the Islamic State’s de facto capital and the seat of their self-proclaimed caliphate, which at the height of their power in 2014 stretched across a third of both Syria and Iraq. Since then an array of Syrian and Iraqi forces have driven IS from virtually all the territory it once held, but the group is still present in remote areas along the border. 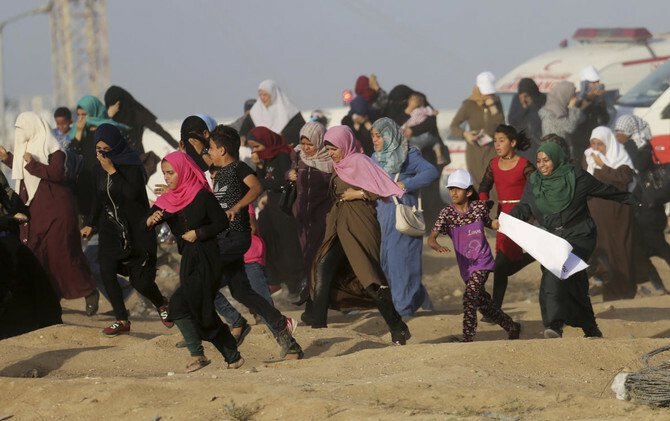 IS carried out mass killings and other atrocities, including public beheadings. HRW said identifying missing people and preserving evidence for possible prosecutions is critical for Syria’s future. “Raqqa city has at least nine mass graves, each one estimated to have dozens, if not hundreds, of bodies, making exhumations a monumental task,” said Priyanka Motaparthy, HRW’s acting emergencies director. “Without the right technical assistance, these exhumations may not provide families with the answers they have been waiting for and could damage or destroy evidence crucial to future justice efforts,” she added. Recovery and analysis of remains from mass graves is a complex process that requires a high level of expertise. Exhumations carried out without forensic experts can destroy critical evidence and complicate the identification of bodies, the report said. In 2016, The Associated Press documented and mapped 72 mass graves in Iraq and Syria, with many more expected to be uncovered. In Syria, the AP obtained locations for 17 mass graves, including one with the bodies of hundreds of members of a single tribe all but exterminated when IS extremists took over their region. At the time, between 5,200 and more than 15,000 people were believed buried in the graves. Souad Abderrahim of the Ennahada Party became the first elected female Mayor of the Tunisian capital of Tunis on Tuesday. She defeated a city official who served under former President El-Abidine Ben Ali, Kamel Idir, a member of the Nida Tounes party of current President Beji Caid Essebsi. 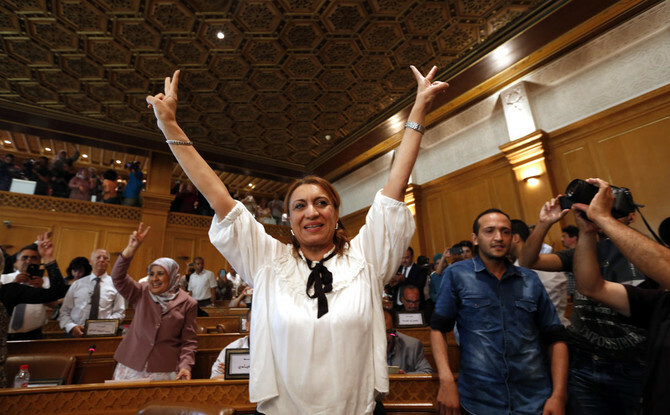 “I dedicate this victory to all Tunisian women,” Abderrahim declared. “My first task will be to improve the face of Tunis.” Since the 2011 Arab Spring, Tunis has been suffering from the deterioration of waste management services. Abderrahim announced in an interview with The Associated Press that cleaning up the capital and planting trees would be her first priority. This is a smaller component of her larger goal to modernize the image of the Islamist Ennahada Party. In 2016, the party emphasized its democratic values and its commitment to separating religion from politics. “We have chosen transparency as a slogan,” Abderrahim said. Tunisia is at the vanguard of safeguarding and promoting female political participation in the Arab world. In fact, polls indicate that women made up 47 percent of those elected in recent local races.